At the moment of its invention in the 15th century, printing was an astonishing breakthrough in technology. The ability to produce hundreds of pages in a couple of minutes where it would have taken hours and maybe days before for someone to write them word by word. A few years back 3D printing became a thing. Enabling people to take objects and concepts that were mere drawings on their computers and manifest them into 3D objects that they can print themselves. 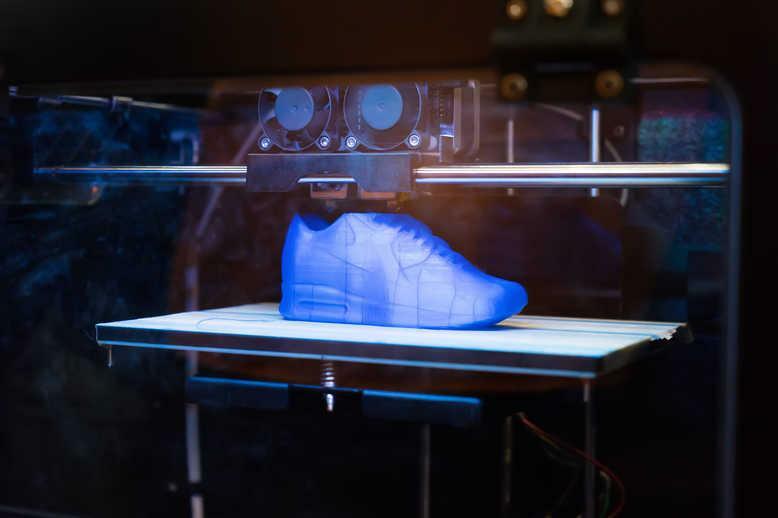 3D printing is becoming more and more user-friendly and does not necessarily require a big space or spending a lot of money. In fact, some 3D printers aimed for newcomers cost just above 100$ now. But what troubles most people who are eager to enjoy the 3D printing experience is the tediousness of it all. The term “3D printing” itself is too vague as there are many options available. After all, there are so many 3D printer manufacturers, many materials and processes that you get to choose from. and at the beginning, it may be too overwhelming. 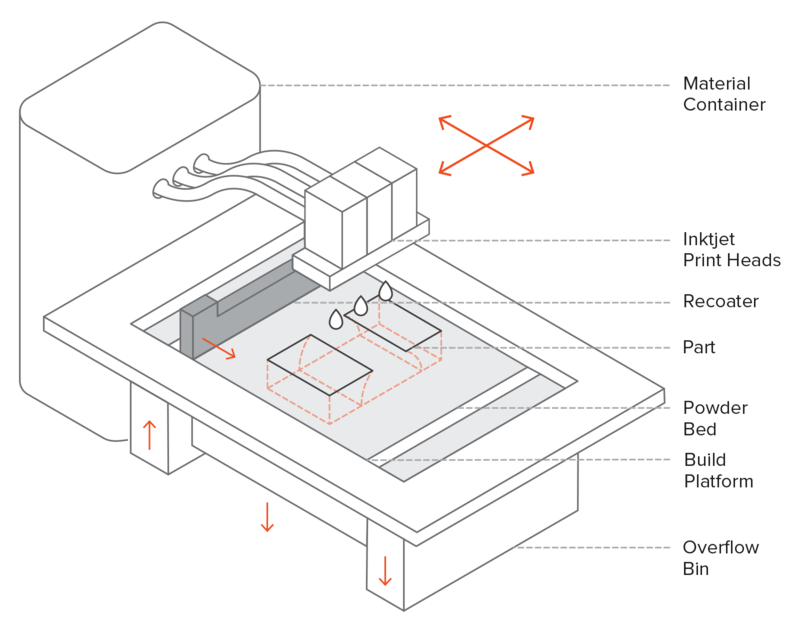 Those many types and processes of 3D printing can be summarized into six processes and ten types. Some types share the processes and others do not. Fused Deposition Modeling or fused filament fabrication is the most common type of 3D printing. 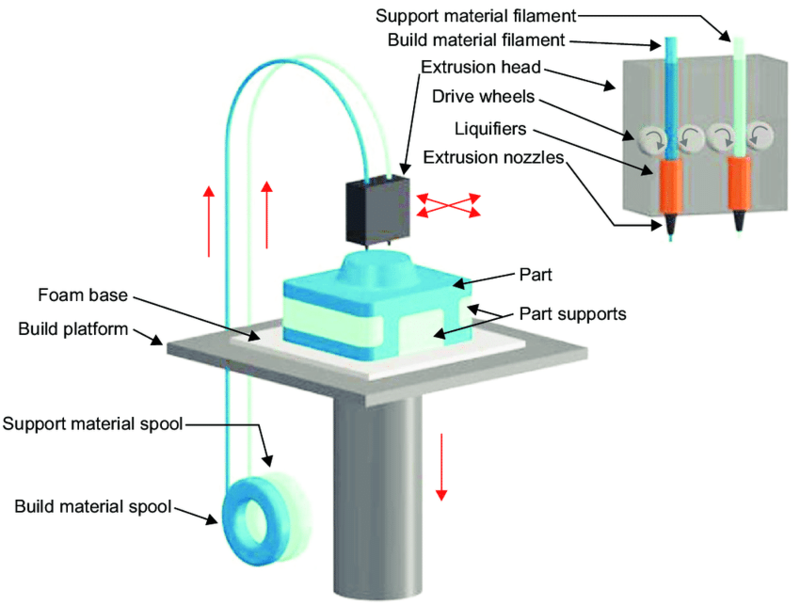 It uses the process of material extrusion which is a process of 3D printing where a thread of thermoplastic material which is melted by the nozzle heated enough to melt it as the nozzle moves along the build platform as specified by the Computer-aided design of the object intended to be printed. The nozzle starts by pushing the heated filaments on the base and creating the first layer as it moves horizontally and vertically. After the hot materials are cool and hard and the layer is completed, the base moves down for creating the second layer and so on working its way down until the object is fully printed. 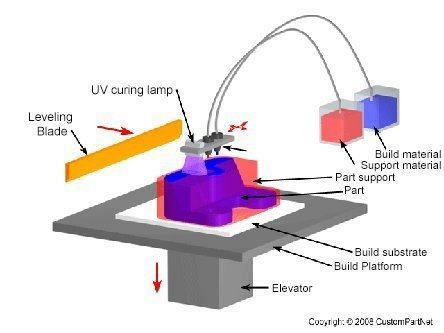 Stereolithography is the oldest type of 3D printing first introduced in the 1980s by Chuck Hull. It uses a process called Vat polymerization. Stereolithography uses mirrors and lasers and photopolymer resin. The mirrors and lasers are bases below the vat of resin where the laser beam is aimed through the resin tank by the mirrors which are known as galvanometers. The build platform is lowered to the bottom of the tank leaving just a small space for the liquid that will create the first layer of the object. After the laser beam hardens the liquid onto the build platform and the first layer is created, the build platform is raised to allow fresh resin into the bottom of the tank. The build platform is then lowered again to create the second layer and so on. 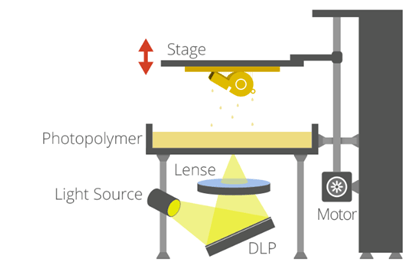 The bottom-up stereolithography is the most common type of SLA. Material jetting is a process and a type in itself. It uses inkjet technology just like ordinary printers. where the print head moves along the build platform and sprays the photopolymer material on the base creating the first cross section of the part and then ultraviolet light attached to the print head are used to cure the material as it is printed. After the first layer is completed, the build platform moves downward allowing space for the print head to create the second layer and so on. Support materials are added as the object is printed to give supplemental strength. The biggest difference between material jetting and the former types of printing is that it rapidly deposits its build material in a line-wise way. Making the printing process speed faster. Digital light processing is a type that uses the process of Vat Polymerization like the SLA type. 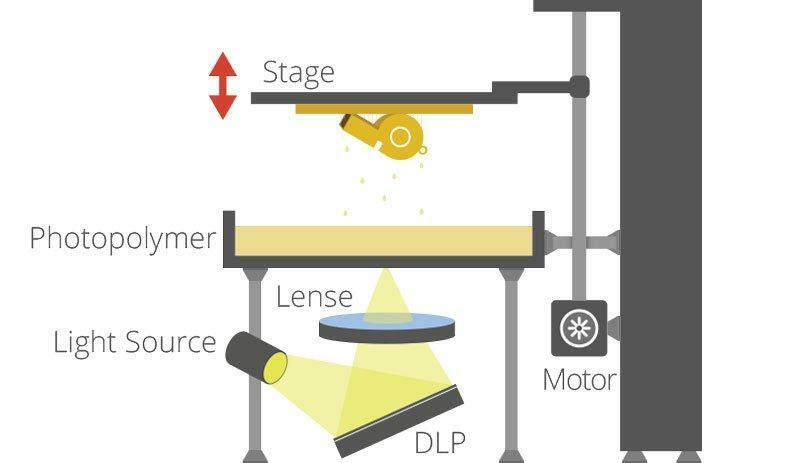 Digital light processing is quite similar to SLA with the key distinction of using digital light projectors. These projectors shoot the laser as one full slice creating a layer at once. The process of DLP is similar to SLA where the build platform is lowered to the bottom of the tank then raised as each layer is created. Only that DLP printing time can be faster compared to SLA since it creates layers at one instant rather than tracing with the point of the laser. Selective laser sintering is a 3d printing type that uses a powder bed fusion process. The build platform starts at the bottom and the laser at the top. The laser shoots CO2 beams that heat the surface according to the computer-aided design after it is split into layers. The laser then will sinter the powder selectively and will solidify a cross-section creating a layer of the object. These laser beams are directed by the use of a pair of galvanometer mirrors like the SLA type. After a cross-section is created of the object and a layer is complete, the build platform moves down allowing space for the powder to be placed on top of it and bringing the first layer beneath. As the build platform is brought down a layer, the supply chamber is brought up and a recoating blade swipes across the build platform depositing a new fresh layer of powder on top of the first layer and the process is repeated again until the entire object is printed. The excess powder deposited by the recoating blade that was not heated by the beams remains still to create a support for the object being printed, thus eliminating the need for support structures as it provides one for itself. Selective laser melting uses the process of powder bed fusion which is similar to the SLS 3D printing type. It uses light beams aimed through the galvanometer mirrors to heat the powder. The difference is that selective laser melting is used to produce metal parts by heating the powder to the point where the metal powder is fully melted creating a homogeneous part. Another type similar to this is Direct metal laser sintering (DMLS) which unlike the SLM does not melt the powder but heats it to fuse the parts together. Both SLM and DMLS require support structures, unlike SLS. 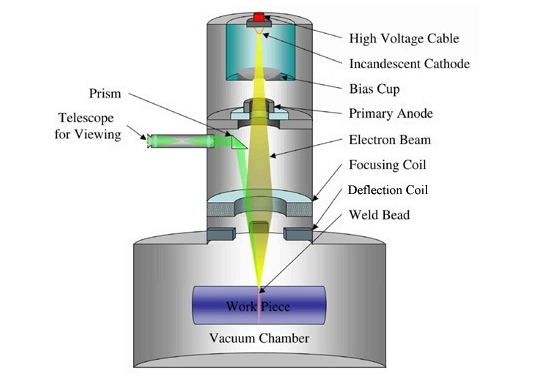 Electron beam melting is similar to SLM as they both use the powder bed fusion process. The difference is that it uses a high energy electron beam to create fusion among the particles of the metal powder. EBM is also used to create metal parts although it has a superior printing speed, the size of the printed objects are typically larger than objects printed by SLM. Sand binder jetting is a 3d printing method using the process of binder jetting, binder jetting uses a liquid bonding agent that bind areas of a powder bed selectively. 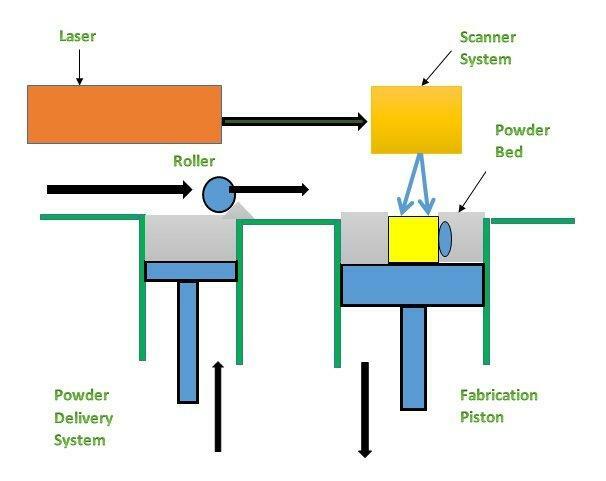 It is similar to the selective laser sintering method as it requires a powder bed but instead of using laser beams that sinter the powder on the build platform. It uses a printer head that moves over the powder platform to deposit binder droplets that bind the powder particles with each other to create each of the layers lowering the powder bed to create space for new layers. Quite similar to the sand binder jetting, metal binder jetting does the same thing but for creating parts out of metal objects rather than sand. A printer head lays down the material on the metal powder bed and then the layer is cured and the bonding agent binds the powder particles. Then the build platform moves down allowing for space for the new layer to be added.